12 km east from the fishing town of Santa Cruz del Norte. The visitor gets to the Jibacoa through Via Blanca road, 6 km from the exit. All Inclusive Resort Memories Jibacoa, built on Jibacoa beach by Super-Clubs partnership with Gran Caribe. Resort with scenic grounds and plenty to do on an beautiful isolated beach, just 78 km east from Old Havana and 58 km from Varadero airport. Check in time: 03:00 pm - Check out time: 12:00 pm, late Check out is available. Adults only hotel, minimum age 14. Distance from Varadero International Airport to hotel is 60 km - 35 minutes, and 80 km from Havana Jose Marti International Airport. 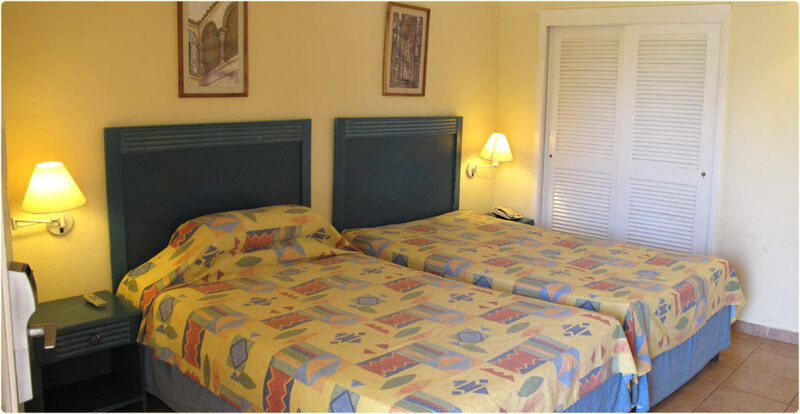 Room Types: 250 Standard rooms, connecting rooms available, room capacities: 3 adults maximum. Day tour of Old Havana include an evening's entertainment at the Tropicana Night Club. Golfing guests can hop a twice weekly shuttle for ride to Varadero golf club, free use of the course. Address: Located 78 km east from Old Havana, Playa Arroyo Bermejo, Santa Cruz del Norte, Provincia Habana. Jibacoa's coral reef, making this place an unforgettable advanture for snorkelling and Scuba Diveing. Cost CUC$ 25 per dive. at the coral reef. Among the most tempting immersions is the visit to Sparta ships, the military ship is now a favourite spot for divers. Reservations and dress code may be in effect for a la carte restaurants. All inclusive hotel position in a quiet setting, large comfortable rooms, in tropical nature and perfect white beaches. Friendly professional service for a memorable holidays. Located between green mountains and beautiful beach 78 km east from Old Havana, ideal to rest and to enjoy the nature. Wonderful setting one of the most beautiful beaches with excellent conditions for diving and snorkeling by Gran Caribe Hotels. Amazing staff, offer excellent costumer service. Easy access to Havana and the Varadero airport. Distance from the Varadero International Airport to hotel is 60 km 35 minutes and 80 km from the Havana Jose Marti International Airport. Jibacoa's coral reef an unforgettable adventure for Snorkelling and Scuba Diving enthusiast. Address: Playa Arroyo Bermejo, Santa Cruz del Norte, Provincia Habana, Cuba. - Kingsize or 2 Single Beds + extra bed. Stunning long Jibacoa beach is perfect for relaxing and nature lovers. Unforgettable Caribbean vacation spot between Havana and Varadero. Canadians enjoy vacation in Jibacoa.